Maitake mushrooms (Grifola frondosa) are an edible mycelium species that grow in large fruiting rosette-like clusters typically at the base of trees. Often referred to as "hen of the woods", they are a plump and full-bodied fungus sometimes weighing up to 40-50 pounds by the end of the growing season. As a delicious edible mushroom variation with a firm texture and rich flavor, they are a commonly used ingredient by gourmet chef's around the world. More significantly, however, this particular mycelium is becoming increasingly more well-known for its strong immune enhancing attributes and viral inhibiting complexes. Used in Asian herbal medicine for centuries, Grifola frondosa has a long history of traditional use as a medicinal mushroom variety, containing specific beta-glucan compounds known to benefit a number of immune-related illnesses. 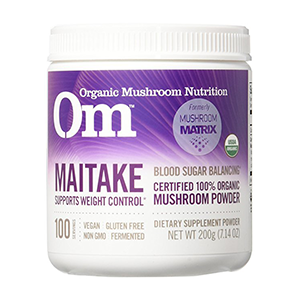 Researched extensively by Japanese scientists in the mid 1980's, it was shown that the mushroom has two unique components and active protein-bound beta-glucan polysaccharides known as grifolan and D-fraction. These constituents have been proven to offer a number of various physiological benefits to human health when consumed in mild to moderate doses, with effects that exhibit immune modulating and antitumor activities. 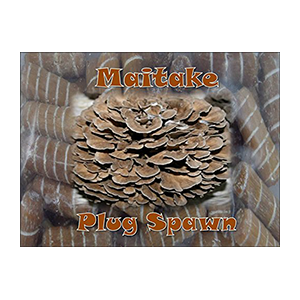 Maitake mushrooms grow wild but are also very easy to cultivate. China, Japan and Korea are the top commercial cultivators selling the dried mushroom for export to many countries worldwide. Dried versions are delicious in soups, tonic teas or steamed with other foods. Freeze-dried powders, hot water extractions as well as grifolan or D-fraction concentrates are also widely available for specific health conditions or basic immune maintenance. Modern research provides significant evidence that the D-fraction myco-nutrient functions as an anti-cancer agent by activating NK cells, providing rapid response to tumorous development, helping to inhibit the progression of cancer cell growth. 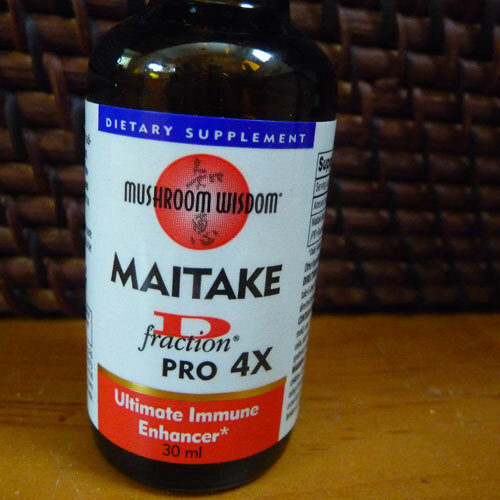 In one study published in the Journal of Medicinal Food it states that "Maitake D-fraction appears to repress cancer progression and primarily exerts its effect through stimulation of NK cell activity." In China and Japan, many medicinal varieties, like reishi and coriolus, are also viewed as respected adjuncts to cancer treatment and chemotherapy, useful for relieving side-effects with a possible chemosensitizing influence beneficial for improving the efficacy of the chemo application. Primarily growing wild in Japan as well as moderate climate zones of China, Europe, Canada and Northeastern United States, Grifola frondosa is a soft-fleshed polypore mushroom identifiable by its gray-brown, wavy overlapping caps, which are assembled in large clusters of rosettes coming off a single branched stem. When wildcrafting edible plants or mushrooms, is it very important to make sure you know exactly what you are harvesting as there are many poisonous and even deadly varieties. Hen of the woods is a perennial fungus that often grows wild in robust patches, usually growing at the base of certain trees, especially oak, beech or elm. It is harvested in the late summer and early fall with the fruiting body becoming inedible and too tough to eat the older it becomes. Often reappearing in the same place year after year, a mature mushroom can grow up to 3 feet (91 cm) or more, but is typically about 5"-1' (15-30 cm) wide. Grifola frondosa is also an easily cultivated species and can be grown indoors on a substrate medium. When in a controlled environment they actually continue to flush and produce throughout the year. These versions do not grow as big of course, but they can still be quite fruitful and used like shiitake or oyster mushroom in stews, soups and sautés. 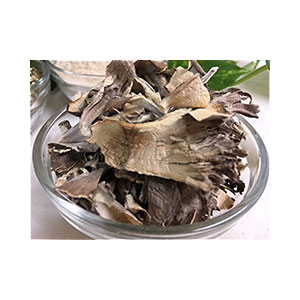 Like many of the medicinal mushrooms, Grifola frondosa contains high amounts of beta-glucan polysaccharides, beneficial for a broad spectrum of immune-related conditions. ß-glucans are known as "biological response modifiers" because of their capacity to stimulate immune response. 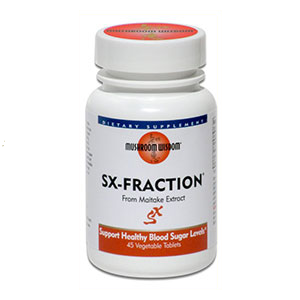 One beta-glucan in particular that has been extensively researched is the active proteoglucan or "D-fraction" compound. 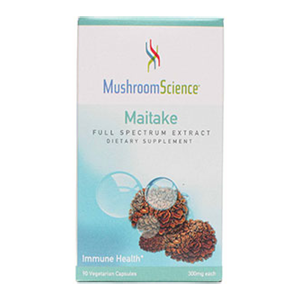 Maitake D-fraction includes unique protein bound beta-glucans known as beta-1,3 and beta 1,6 (or ß-1,3/1,6 glucan) helpful for overall functioning of a healthy as well as compromised immune system. 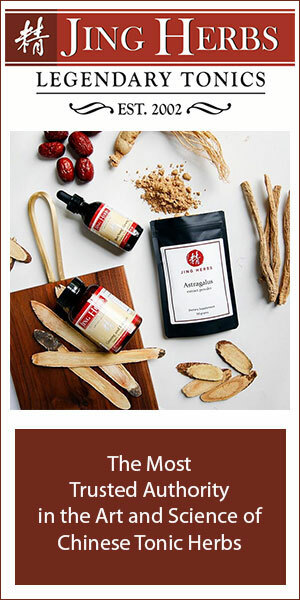 Chinese tonics, rasayana herbs and mushrooms, like hen of the woods, are top superfood adaptogens that allow your body to naturally regulate itself by normalizing the over-activity or under-activity of the organs and glands. One of the first polysaccharide substances isolated from the mushroom back in the 80's was another beta-glucan called grifolan which, according to a 1987 research study, was shown to possess antitumor activity. Grifolan has been shown to provide immune modulating effects that activate white blood cell macrophages to produce the tumor necrosis factor, a group of cytokines that can cause tumor cell death or also what's referred to as "apoptosis." 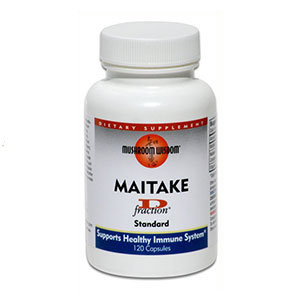 The maitake D-fraction compound also appears to have significant anticancer effects, in part by stimulating macrophages, NK (natural killer) cells and T-cells helpful for inhibiting tumor cell growth and preventing it from spreading or metastasizing. 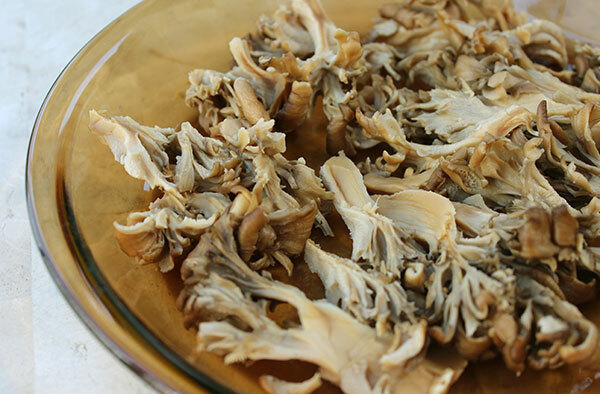 In the published study entitled "Effect of Maitake (Grifola frondosa) D-fraction on the activation of NK cells in cancer patients", the mushroom was recognized for its potential to activate NK cells to prevent cancer advancement. There are many factors to consider when someone has any form of cancer and we are not suggesting that the mushroom extract will cure or completely eradicate tumors. There is, however, a lot of evidence with many of the medicinal mushrooms, like chaga, turkey tail as well as Grifola frondosa, for their potential as antitumor agents. 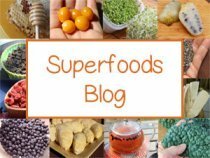 We feel they are superfood supplements definitely worth considering, or discussing with your health care provider, if you have either benign or cancerous tumor growth. In a study published in the International Journal of General Medicine entitled, "Synergistic potentiation of D-fraction with vitamin C as a possible alternative approach for cancer therapy" it was shown that medicinal mushrooms, like Grifola frondosa, have increased uptake and health benefits when consumed with a natural vitamin C source and also help "to improve the efficacy of currently ongoing cancer therapies." Some mushroom products for this reason include small amounts of Vit. C in their extracts. 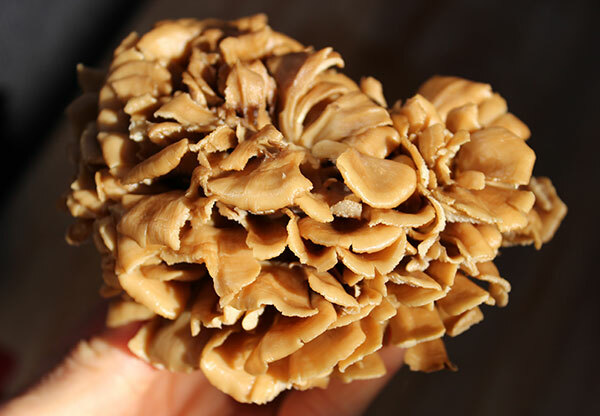 In the same study it was also recognized that a number of studies "have demonstrated potent immunomodulatory and antitumor activities of maitake D-fraction, implying its great potential in cancer treatment and prevention." Other research investigating D-fraction and whole maitake powder to determine their effectiveness for cancer patients in various stages of progression it was analyzed that "Cancer regression or significant symptom improvement was observed in 58.3 percent of liver cancer patients, 68.8 percent of breast cancer patients, and 62.5 percent of lung cancer patients." 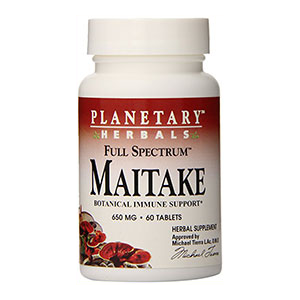 Maitake mushroom has shown significant antiviral properties and studied for potential supplemental use by those with hepatitis B as well as the HIV or AIDS virus. 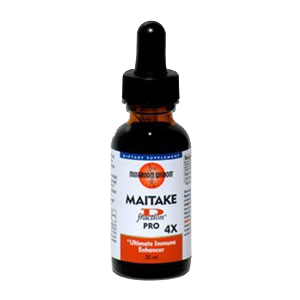 MaitakeGold 404® is a patented extract created by researcher Dr. Hiroaki Nanba, who identified that greater effectiveness was achieved when the beta-glucans in the maitake possess a greater number of branching side chains and that the substances inhibit any immune activity were removed. 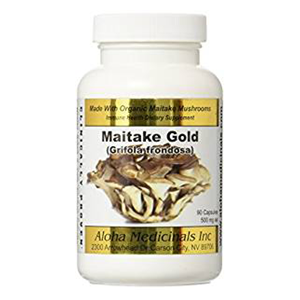 MaitakeGold 404® is a formula produced by Dr. Nanba to achieve maximum effectiveness and is an often used ingredient in many medicinal mushroom products. 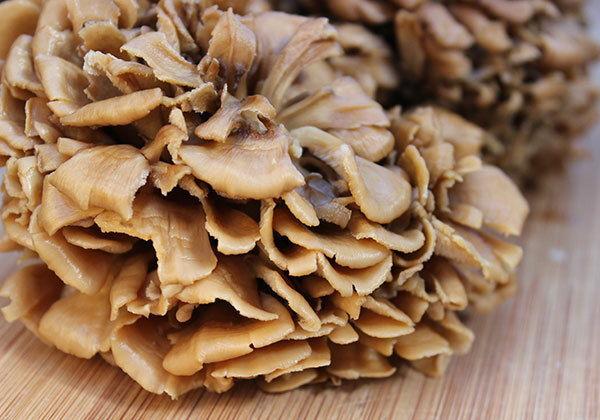 Hen of the woods has been found in several studies to support the appropriate production of insulin, via an alpha-glucosidase inhibitor, which helps to reduce blood glucose levels by preventing the digestion of carbohydrates. This could be potentially beneficial for those with type 2 diabetes. It is also believed that there are other bioactive substances present in the mushroom that can additionally help alleviate diabetic symptoms, though further research is required. 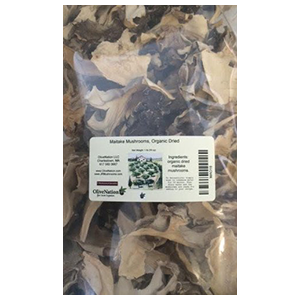 Some studies suggest that maitake mushrooms, acting as a natural anti-inflammatory, help to prevent age-related elevation of blood pressure, via the renin-angiotensin system, the hormonal system that regulates fluid balance and blood pressure. 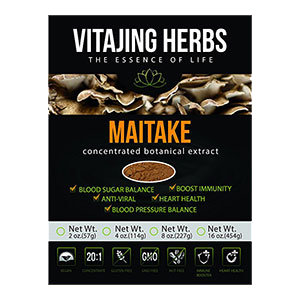 Consuming maitake mushroom teas and extracts are beneficial for the cardiovascular system because of their cholesterol and blood lipid normalizing effects, in addition to the mushrooms aid as an anti-inflammatory. Mushroom Wisdom - Encapsulated powder D-fraction extract using the powdered fruiting body, plus a 30% standardized D-fraction or active proteoglucan extract, along with 66% Vit. C; also available as a glycerin-based liquid solution. This brand also makes a standardized extract using the beta-glucan grifolan. Mushroom Science - Encapsulated hot water organic extract of the fruiting body, Grifola frondosa mycelium with 25% polysaccharides. 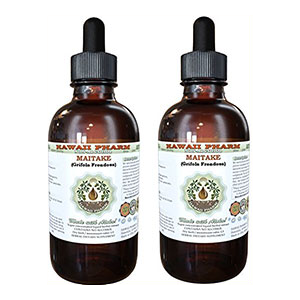 Also offered is the patented MaitakeGold 404® liquid formula, a hot water extract with added Vit. C preserved in glycerin. Fungi Perfecti - Encapsulated powder includes freeze-dried mycelium and freeze-dried fruiting body. 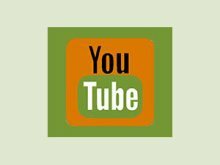 Planetary Herbals - Encapsulated fruiting body and mycelium biomass, jujubee dates and ginger root or Vit C. Some contain the beta-factor MaitakeGold 404®. 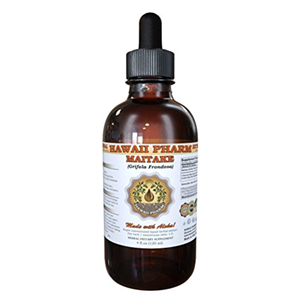 Hawaiian Pharm - A dried mushroom alcohol-free liquid extract. 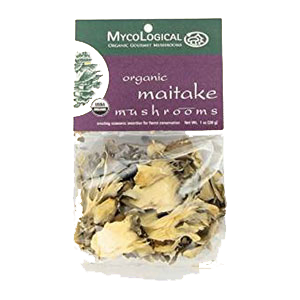 The best and most medicinally effective way to use this mushroom is to consume the powdered or liquid extracts. There are a number of high quality brands to choose from, each using their own specific ingredients which may include the mycelium biomass, the fruiting body, grifolan or D-fraction isolates. The capsules can be opened and mixed into hot teas, elixirs or consumed in capsule form. 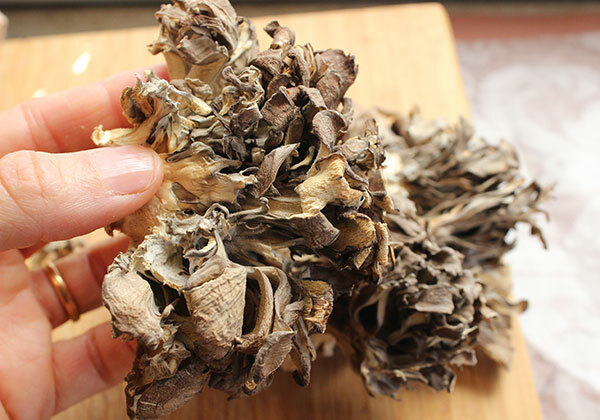 Hen of the woods is, as we mentioned, more beneficial when consumed with a natural vitamin C based powder and is, for this reason, an often added ingredient in prepared commercial formulas. The mushroom is rich in minerals like potassium, calcium, and magnesium, along with various vitamins such as B2, D2 and niacin as well as fibers and amino acids. 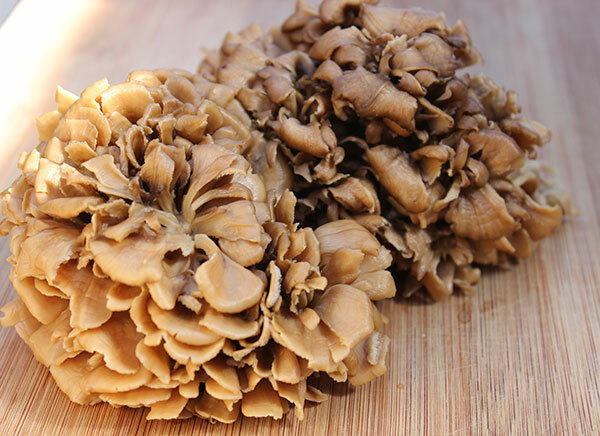 Hen of the woods is also available as a dried mushroom variety. These mushrooms can be soaked, chopped and used like fresh mushrooms in cooking recipes, soup stocks, tonic tea drinks and prepared with grains or legumes. All medicinal mushrooms must be heated to release a higher ratio of polysaccharide components. This can be achieved in varying degrees by simmering, steaming or sautéing. It is also delicious marinated and dehydrated or can be used for the greatest medicinal effectiveness in hot soups or stews with the nutrients concentrated into the liquid stock. 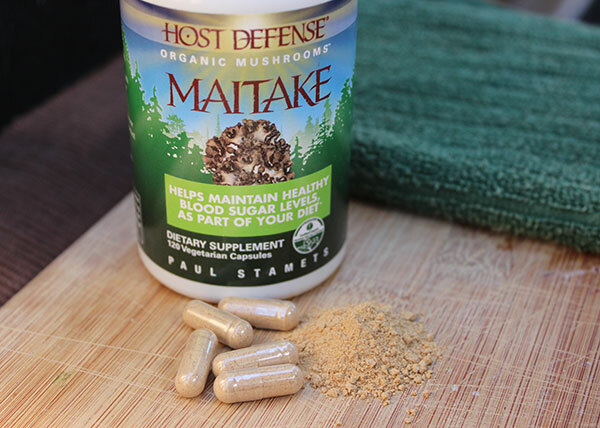 For increased effectiveness, it is appropriate to use the powder or liquid extracts with other medicinal mushroom varieties like: lions mane, coriolus, reishi, cordyceps, shiitake, agaricus blazei and chaga. 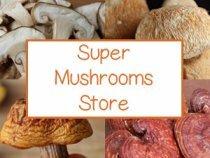 Visit the links at the bottom of this page to find out more about these mushrooms and their benefits. 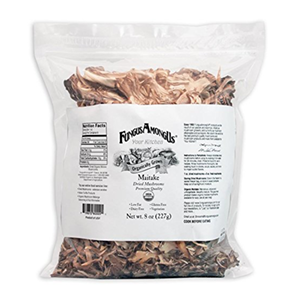 Also, try maitake in our vegan recipes, like our wild rice or quinoa recipe. 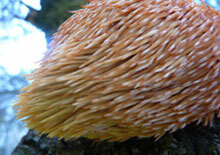 Generally, medicinal mushrooms are very safe to consume for most people. You should, however, always seek the advice of your health care provider if you have serious health conditions, rather than relying on self treatment with the mushroom alone. Also, consult your practitioner if you are taking prescription medications, especially interferon.